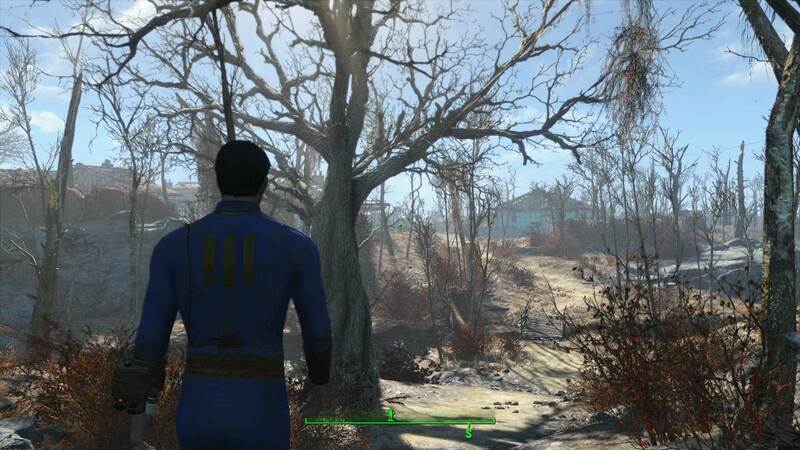 The latest gameplay demo of Fallout 4 seems very familiar, for good and bad, says Matt Martin. 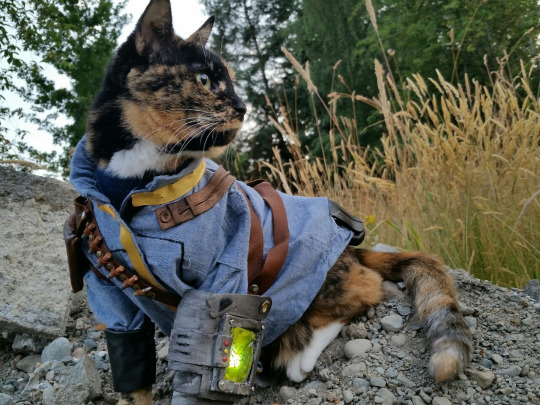 Fittingly for a game that encourages scavenging and hammering together equipment to survive, Fallout 4 looks recycled. If you want Fallout 4 to be exactly how you remember Fallout 3, then we have good news. After sitting through a 15 minute extended (edited) gameplay video of the game today at Gamescom, we can report it looks exactly the same as Fallout 3, for good and bad. I have to stress that this and the snippets from E3 earlier this year is all we’ve seen of Fallout 4 and all we’re likely to see of the game before it’s official November release. Publisher Bethesda is rightly being protective of its baby, to the point of muted communication and tightly controlled assets released to the press and public. You get what you’re given and no more, no less. And it’s under these conditions I base my impressions. Fallout 4 is instantly familiar, and to a Fallout 3 fanboy like myself that’s encouraging, reassuring and disappointing in equal measure. After a brief demo of the Strength attributes (the stronger you are, the more you can carry, etc) we’re straight into the exploration of a town called Lexington. It’s been overrun by Ghouls and is a camp for Raiders. The buildings and environments that make up Lexington are incredibly detailed, with rust, battered faux 50s advertising boards, shells, trash and general post-apocalyptic filth littering the streets. This is when the game looks its best. But then you notice that things like the computer terminals from Fallout 3 look exactly the same here, as do other artefacts, to the point where they look lifted without a next-gen polish. 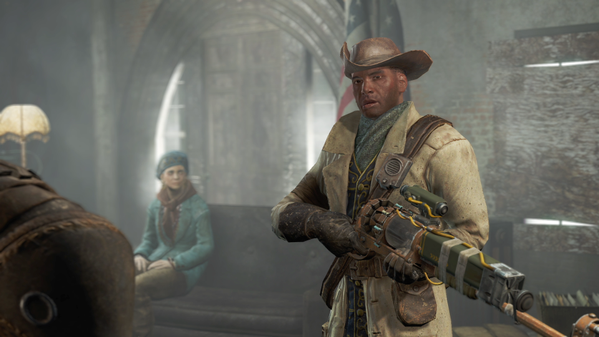 Fallout 4 isn’t an ugly game, but it’s not much of a looker. Fittingly for a game that encourages scavenging and hammering together equipment to survive, Fallout 4 looks recycled. Character models stand out here, with a lack of definition in the Ghouls and Raiders up close. There’s no impressive facial animation to wow over. It’s functional. What the game does have going for it is stacks of weapons to find, steal and craft. During our brief time we saw the return of the Power Fist, a Ripper Knife and Spiked Bat for melee attacks, a hand-cranked Scattered Laser Musket, a Night Vision Missile Launcher and the classic Fat Man with Mini Nukes. All of these cause the carnage you’d expect. Along with the chance to perform a Critical hit by pressing X during VATS, enemies are dismembered either a body part at a time or as a big messy whole, internal organs and chunks of meat spraying across the room. It looks like a satisfying pay-off for your carefully chosen perks and weapon load-out. When it’s all kicking off Fallout 4 looks more intense than I remember Fallout 3 being, but that may have been because I relied on the VATS system significantly during my three playthroughs of the previous game. Our demo today has the hero switching between first-person and VATS a lot, and the battles soon escalate from head-shotting moaning Ghouls to an exchange with a stomping Behemoth, trudging across the map with a shopping cart swinging from its back. But Bethesda’s whole presentation felt a little flat at Gamescom today. We were ushered into a dark room with no real ceremony and watched all of this from a pre-recorded video with a 4-5 minute voice over from Todd Howard. After fifteen minutes it was over and we were ushered out with no chance for follow up questions or anything other than a polite “hope you enjoyed it, thanks for coming”. If the people making and publishing this seem like they’re just going through the motions, how can they expect us to get excited? I’m not a fan of the over-the-top marketing presentation, but a little fizz would have gone a long way. Like the most of you I want Fallout 4 to replicate the the good times of Fallout 3 (and to some extent New Vegas), but with the step-up to a new generation of hardware I’m expecting more. “More” could be a set-piece, or an engine upgrade, or jaw-dropping scenery, or new perks and weapons that will make me bark with sadistic pleasure. So far, I haven’t seen something that makes me stop in my tracks. Yes, this is a new Fallout game that we’ve been keenly anticipating for years. What I’ve seen looks good, and I’m clearing a space for it come November, but my enthusiasm has dropped a little since E3. In truth, we haven’t really seen anything truly spectacular thus far.